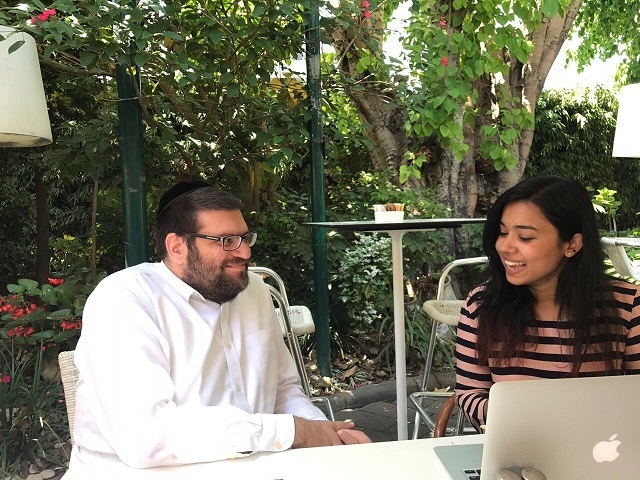 In summer of 2017, I had the incredible opportunity to spend 5 weeks in Israel on a research internship with the Equal Employment Opportunities Commission (EEOC). Being an international student who joined the MILR program in spring, I had my own set of challenges, and an experience of this scale was not an opportunity I would have even thought of. This opportunity was an eye opener in terms of both academics and culture, and none of it would have been possible without the generous assistance I received through the ILR travel grant and the financial aid from the Yang Tan Institute on Employment and Disability. The primary purpose of my internship was to research the status of disabled individuals in Israel within the employment sector. My research in particular focused on autistic individuals and those from minority communities such as Arabs, Ultra-Orthodox Jews, Ethiopians, and women with disabilities. The scope of this research was wide, and thus, I conducted semi-structured interviews with government representatives, service providers, and the marginalized individuals themselves. The EEOC regional commissioner with whom I worked was indeed very resourceful and connected me with individuals who could provide various perspectives on the topic. Given the history of a country like Israel and specifically Jerusalem, where I worked from, the conversations I had with each of the interviewees were insightful not only academically but also from a cultural standpoint. I was not only made aware of so many stark differences but also similarities between various cultures, especially those we seemingly consider more progressive than others. For instance, gender pay gap issues are prevalent across the world, but the reasons for them are unique to each culture. The research on individuals with disabilities taught me the importance of how most of these individuals wish to be known for their ‘abilities’ rather than their ‘disabilities’and thus, how certain government agencies in Israel are seeking to change the language with which they approach the topic, in the hope of changing employer perspectives with it. Not only was I given excellent contacts for my research, my colleagues at EEOC were also beyond warm and welcoming. I was given unique opportunities such as attending an employment case on ageism being heard in the Israeli labor court and later attending a session in the Israeli Parliament known as ‘Knesset’ on sexual harassment policies within the Israeli Police Department. Such unique experiences exposed me to various career paths that I can pursue after a degree like MILR from Cornell. But of course, not everything was just work. The cities of Israel have so much culture and history to learn from. How beautifully most parts of the country have risen despite the battles of the land is a sight in itself. Working in Jerusalem, I lived just miles away from the old city that exemplifies what it means to find peace in diversity. Three major communities of three different religions living within a mile radius and practicing their faith in tolerance was an enlightening experience. I could go on and on about how much you can learn from an international experience as this, but no words do justice to witnessing it first-hand. And for this I am truly grateful to the ILR School, especially the International Programs office and YTI for making this experience that I will always cherish possible. This summer I travelled to Nakuru, Kenya, along with five other Cornell students to establish a start-up, self-sustaining catering service for a local disability center in desperate need of a steady source of income. In addition, by hiring persons with disabilities to cook low-cost, nutritious food, we hoped to help bring an end to the stigma associated with persons with disabilities in Kenya while improving the general health of some of the low-income population of the Nakuru community. This trip taught me that to tackle any problem in the developing world requires a multi-faceted approach. In December of 2016 going into January of 2017, I had the opportunity to travel to Guangzhou, China, in support of an ILR honors thesis regarding modern youth worker consciousness in China.